Hampshire on the south coast is pretty rural county, like its neighbour, Dorset. It also has a diverse range of villages, from the wooded hamlets of the New Forest, to the old fisherman villages on the coast. Wherwell is a village on the River Test. The name may derive from its bubbling springs resulting in the Middle Ages place name “Hwerwyl” noted in AD955, possibly meaning “kettle springs” or “cauldron springs. Buriton is a village and civil parish in the East Hampshire district, 2 miles (3.3 km) south of Petersfield. It lies at the foot of the South Downs escarpment, just east of the A3 road. One kilometre to the south rises the tree-covered hill of Head Down (205 m), one of the highest points of the South Downs and flanked on either side by two other high points, War Down (244 m) and Oakham Hill (202 m). 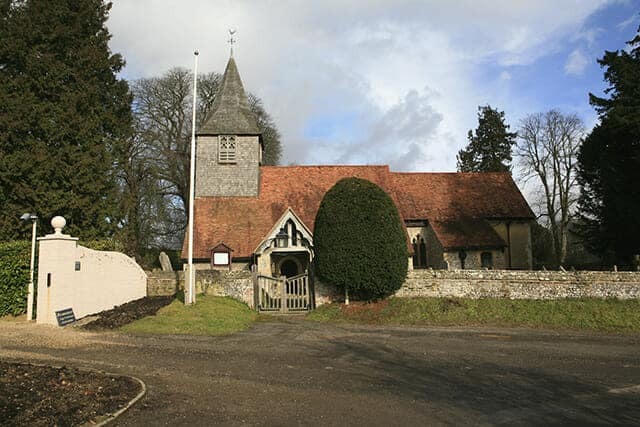 Chalton is a small village and civil parish in the East Hampshire district of Hampshire, England. It is in the civil parish of Clanfield. It is 2.3 miles (3.7 km) north-east of Horndean, just east of the A3 road. The nearest railway station is 3.1 miles (5 km) south of the village, at Rowlands Castle. Longparish is situated on the northwest bank of the River Test. St Mary Bourne is small village and civil parish in northwest Hampshire . It lies in the valley of the Bourne Rivulet, a tributary of the River Test 5 miles (8 km) northeast of the town of Andover. Burley is located towards the western edge of the New Forest, 5 miles (8.0 km) south-east of the town of Ringwood. The village is clustered with slight ribbon development along its main, north-south, undulating road. It is entirely on the lower half of the western slopes of the Meon valley. East Meon is a village and civil parish in the East Hampshire district, 4.4 miles (7.1 km) west of Petersfield. Hamble-le-Rice is a village and civil parish in the Borough of Eastleigh. Hartley Wintney is a village about 3 miles (5 km) northwest of Fleet and 8 miles (13 km) east of Basingstoke. Hartley Wintney is in the Hart district of North-East Hampshire. The parish includes the hamlets of Dipley, Elvetham, Hartfordbridge, Phoenix Green and West Green. Odiham is a large historic village and civil parish in the Hart district. Wickham is a small village about three miles north of Fareham. Beaulieu is a small village located on the south eastern edge of the New Forest national park and home to both Palace House and the British National Motor Museum. 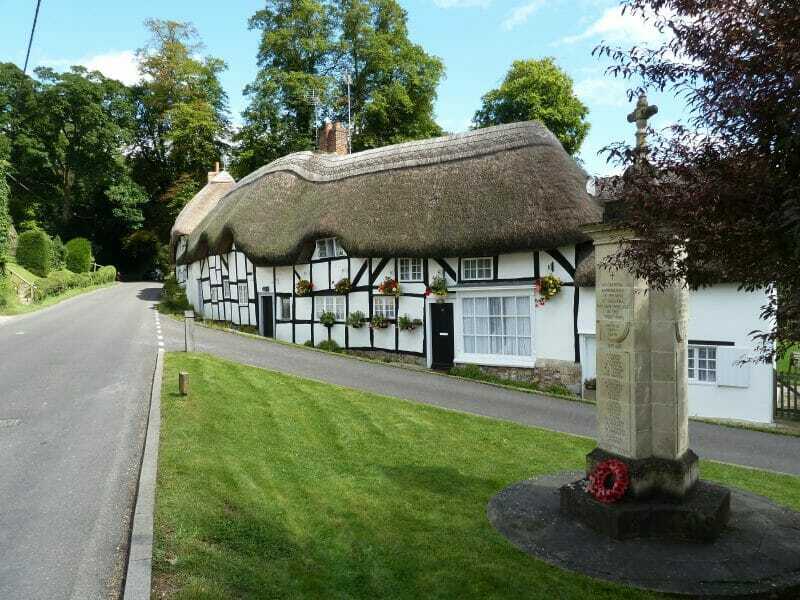 Greywell village is a past winner of the Best Kept Village in Hampshire competition and a recent winner of Best Small Village in Hampshire. The Basingstoke Canal runs underneath part of the village through the 1.1 km long Greywell Tunnel which is now no longer navigable due to a collapse which occurred in 1932. Houghton is a small village and civil parish in the Test Valley district. Its nearest town is Stockbridge, which lies approximately 1.8 miles (3 km) to the north-east. Ropley is a village and large civil parish in the East Hampshire district of Hampshire, England. 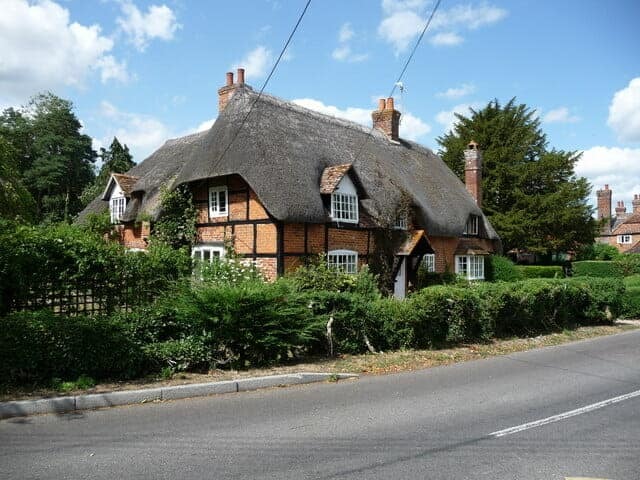 It has an acreage of 4,684 acres (1,896 ha), situated 4 miles (6.4 km) east from New Alresford, with Ropley Dean served by a station just over 1 mile (1.6 km) from the village shops. It is 6.7 miles (10.8 km) southwest of Alton, just off the A31 road. It lies within the diocese of Winchester. Long Sutton is a small village and civil parish in the Hart district of Hampshire, England. 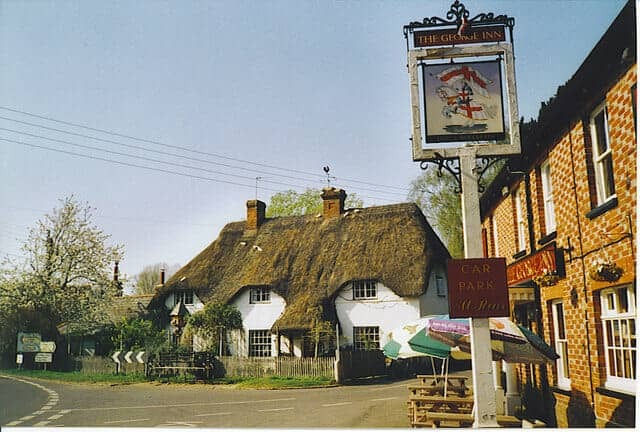 The village lies about 3 miles (4.8 km) south of the town of Odiham. 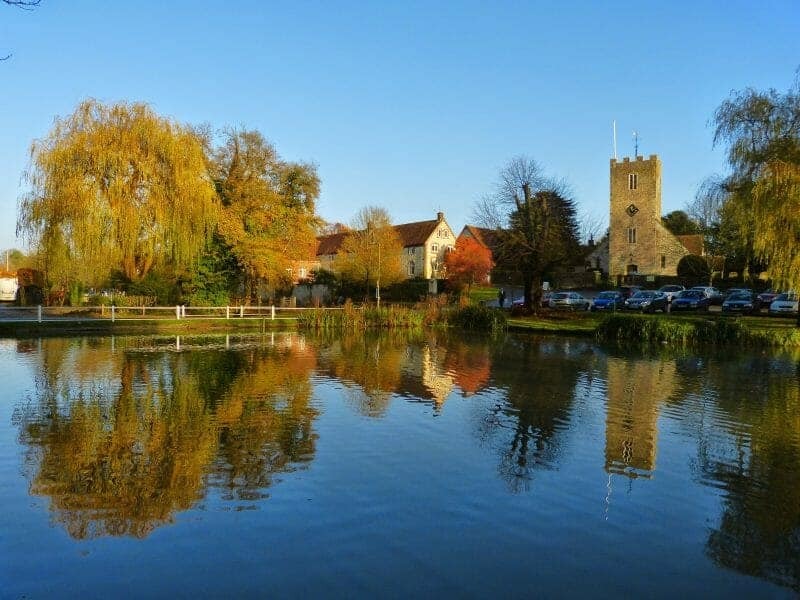 Neighbouring villages include Well, South Warnborough and Upton Grey. Brockenhurst is the largest village by population within the New Forest, Hampshire, England. The nearest city is Southampton some 13 miles (21 km) to the North East, while Bournemouth is also nearby, 15 miles (24 km) South West. Minstead is a small village and civil parish in the New Forest, Hampshire, about 2 miles (3.2 km) north of Lyndhurst. There is a shop and a pub, the Trusty Servant. Sir Arthur Conan Doyle’s grave is under a large tree at the back of the 13th century All Saints’ church. Buckler’s Hard is a hamlet situated on the banks of the Beaulieu River in the English county of Hampshire. With its Georgian cottages running down to the river, Buckler’s Hard is part of the 9,000 acres (36 km2) Beaulieu Estate. The hamlet is located some 2 1⁄2 miles (4.0 km) south of the village of Beaulieu.